As the weather begins to change and temperatures drop, we start to abandon our backyards for the warm comfort of indoors. But that doesn’t have to be our only option. A great way to take advantage of your outdoor space this fall season and ensure family and friends are cozy, is to create an outdoor fire pit or fireplace. Your outdoor oasis will continue to be a place of gathering as the warmth of a fire draws people together. Don’t go inside and hide. 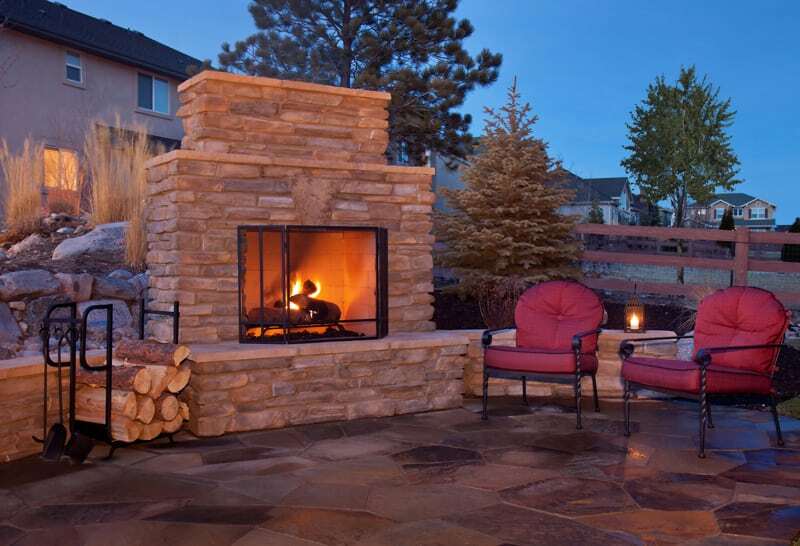 Keep enjoying your backyard this fall by installing a fire element into your landscape design. A fire pit or fireplace? There are many factors to consider when choosing between the two. 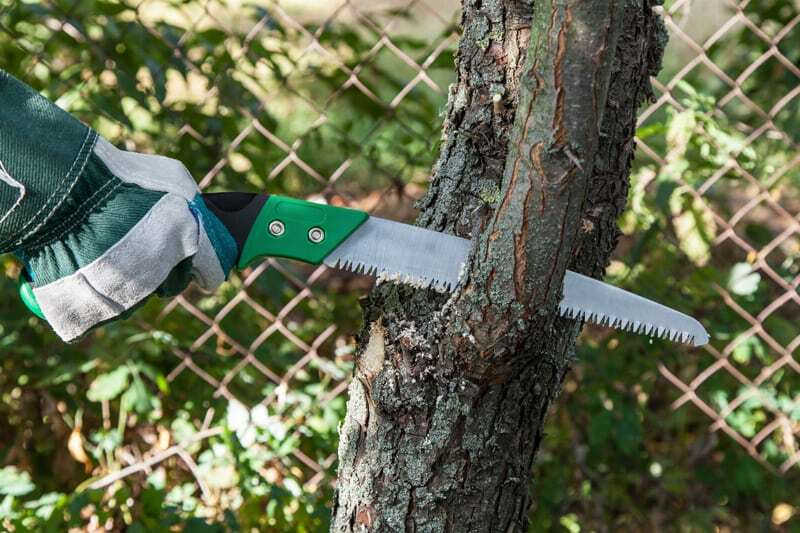 You need to think about size, location, purpose, and safety. While your backyard and individual style are unique, consider each of these in a general sense to get a better idea of which outdoor fire element is best suited for you. There is a huge difference in the size and space a fire pit or fireplace will consume. 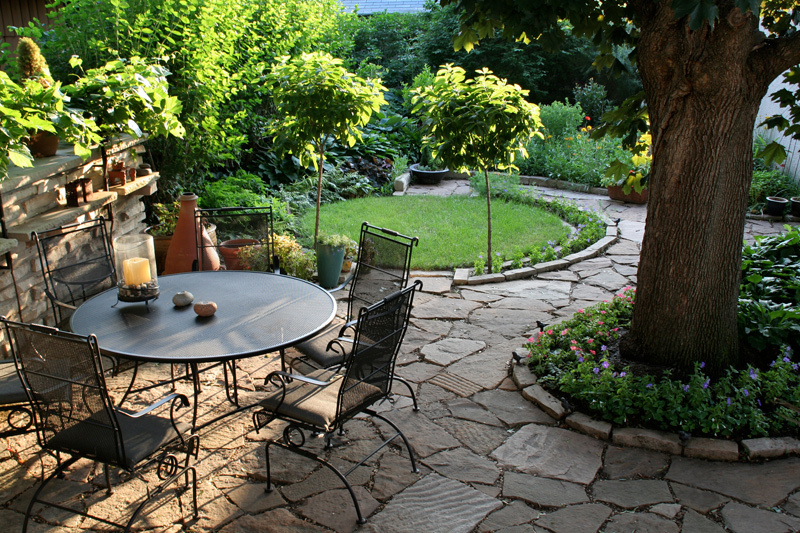 A fire pit is low to the ground and will take up space. While a fireplace will also have a footprint, it is built vertically because it includes the height of the firebox and chimney. Both the fire pit and the fireplace come in various sizes and shapes. Which means that whether your space is small or large, there is a fire element that will suit your needs. When choosing between a fire pit and a fireplace, it is important to first think about the proportion of the fire element in conjunction with the size of your yard. You don’t want to install a fire pit that takes up your entire patio or a fireplace that blocks your views. You do want to make sure the fire element is large enough to fulfill its purpose of warming the area. 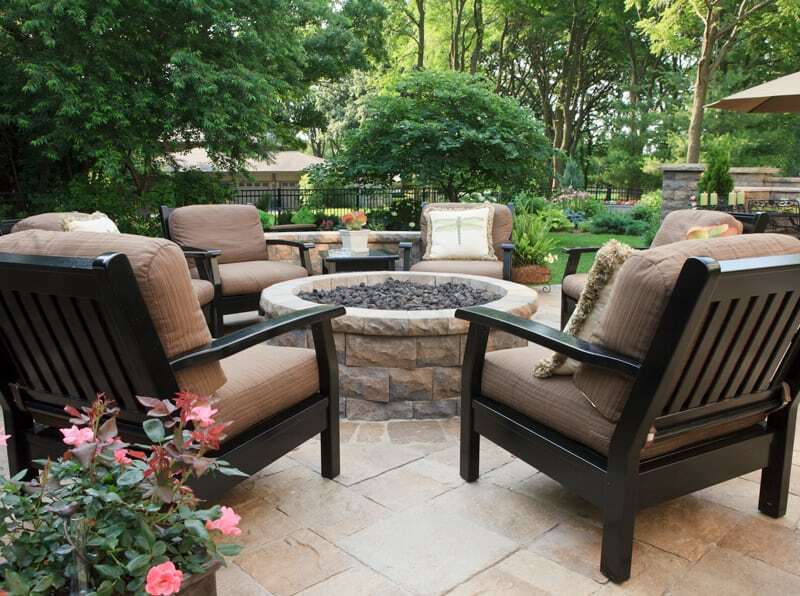 The location of your fire pit or fireplace should feel natural in your backyard. Obviously, you do not want your statement piece to obstruct any walkways or points of egress. You also won’t want to choose an area that is not suitable to gather around as a seating area. 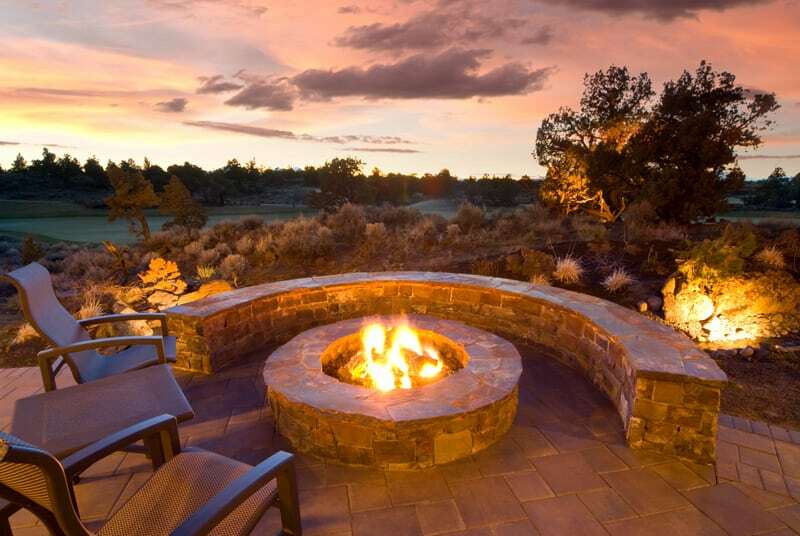 Take note of the elements on your property that are unique, such as the views that your backyard may have, and position your fire pit or fireplace to enhance those attributes. Conversely, if you would like more privacy from neighboring homes and an intimate feel, placing a taller fireplace in the right spot can be a beautiful solution. If your main desire for installing a fire pit or fireplace is to have a heat source, remember that a fireplace will give off more heat than a fire pit. However, if you’re looking to have large gatherings where everyone can pile around a fire then a fire pit might be the way to go. While a fire pit does not give off as much heat as a fireplace, the heat can be accessed from all sides making it easier for more people to stay warm. A fireplace, on the other hand, will only give off heat from the front of the structure. 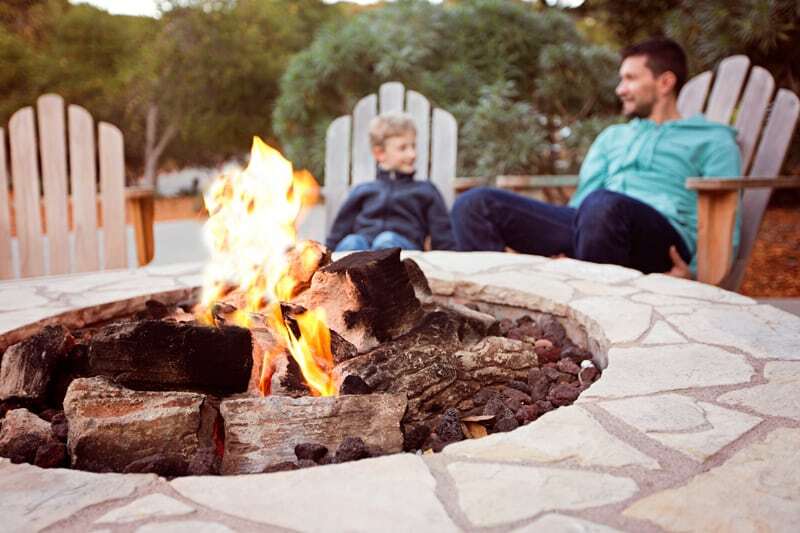 While a well maintained and monitored fire pit or fireplace should not pose any serious safety concerns there are a few points worth mentioning. If you plan on having small children, pets or people with asthma around your heat source a fireplace may be the right choice for you. A well-built fireplace will allow for less chance of children or pets touching or falling on surfaces that are too hot. Additionally, people with asthma will have an easier time breathing around a fireplace as the smoke is directed up through the chimney and away from the surrounding area. 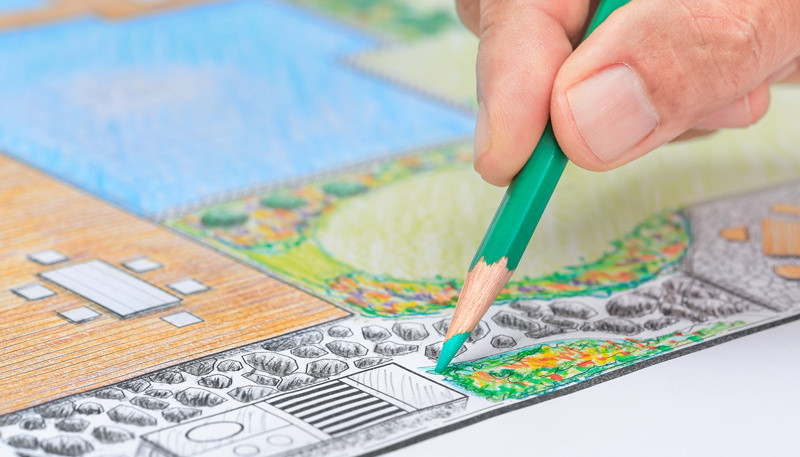 To reduce safety hazards local regulations and codes typically dictate size and location of fire elements on a property. It’s important to adhere to these restrictions for the safety of your home and the people utilizing the space. 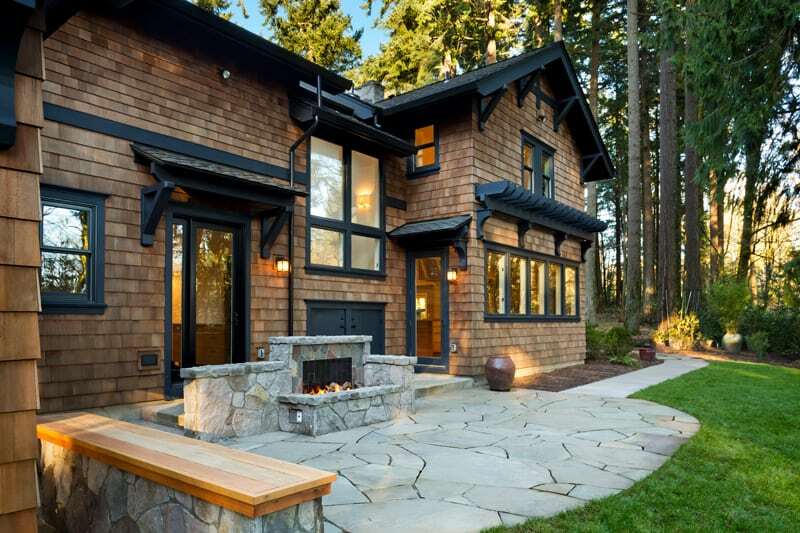 Furthermore, following regulations will ensure that if you decide to sell your home you will see a return on the investment you’ve made by creating a fire pit or fireplace. 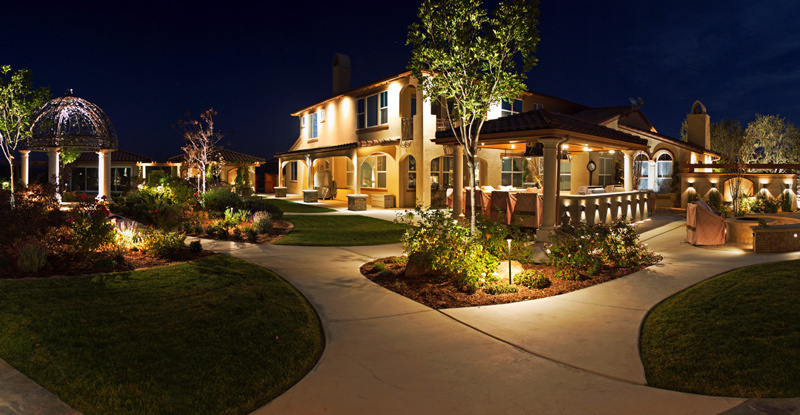 The best way to avoid being in violation of any codes and regulations is to hire a professional landscaper to install your fire feature. As you can see there are many differences in style, function, and features between fire pits and fireplaces. 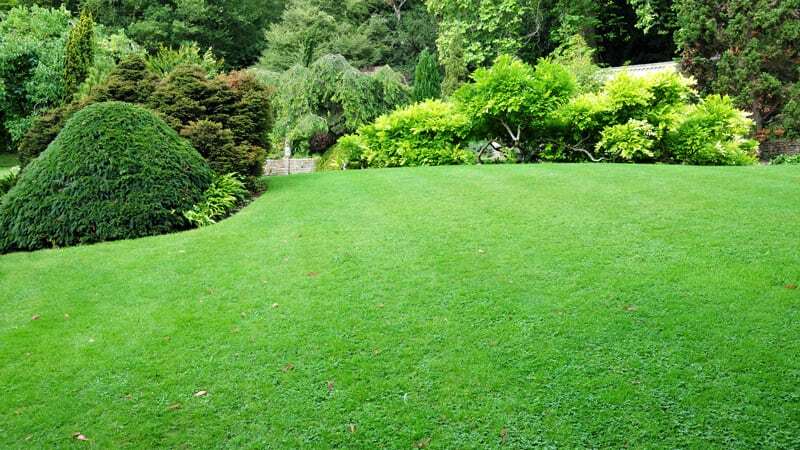 If you are still having trouble deciding between the two, talking with a professional landscaper can help. Our team of experienced professionals will help you design and create a fire pit or fireplace that will be a stunning addition to your outdoor oasis this fall. 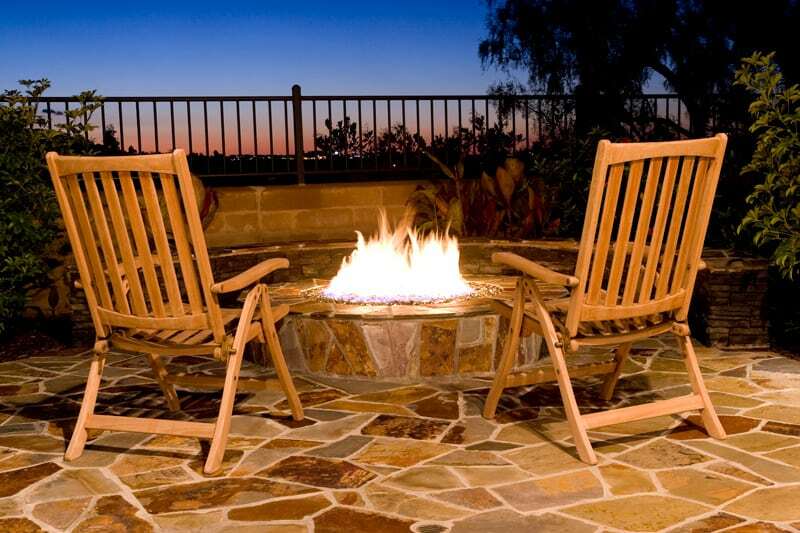 Contact us now for more information about how we can help create a warm and inviting space in your backyard with the addition of a fire pit or fireplace.